VIKING ORION (2018/47861grt/4798dwt/IMO 9796250), maiden call at Auckland, NZ. Owned and managed by Viking Ocean Cruises Inc of Bermuda. 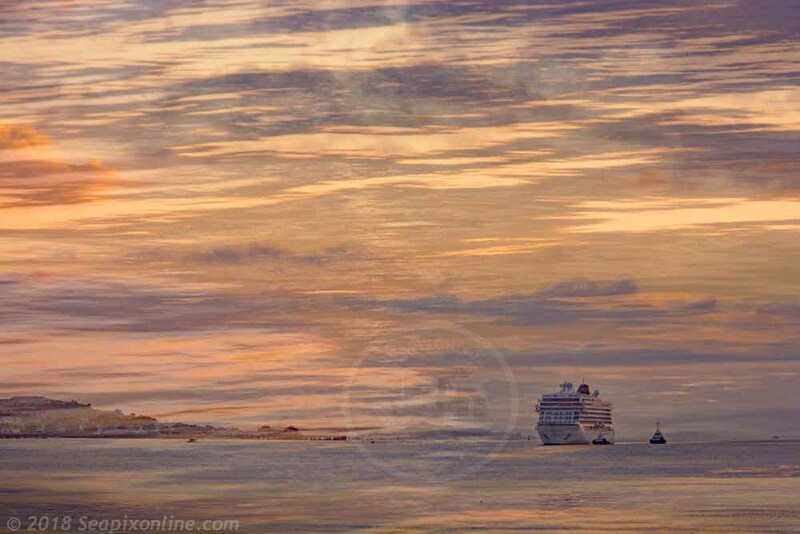 This picture is a sandwich of two images, a distant shot of the ship coming up the harbour and a second, reversed, 25% translucent image of the sunrise reflection in the water next to the wharf I was shooting from.